As a newlywed, I was desperate for recipes that I knew would be a hit in my new household. I wish someone had given me a recipe box for a bridal shower gift! So as wedding season rolls around, consider giving the bride and groom a handmade recipe box, featuring recipes that you and your family have loved for years. 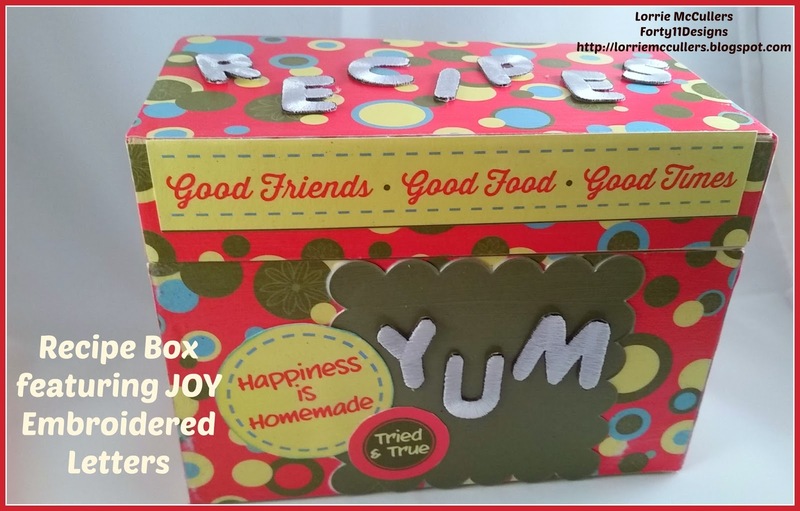 This recipe box is super easy to make! 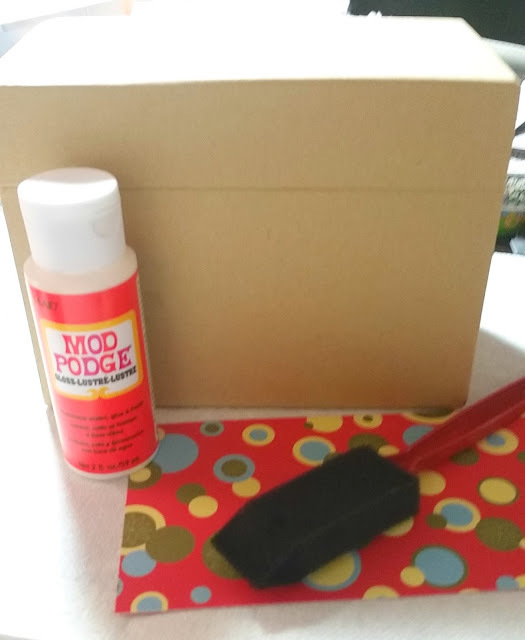 I decoupaged a plain hinged-lid box that I found at a craft store with patterned paper. I decorated the box with embellishments from the same paper line. 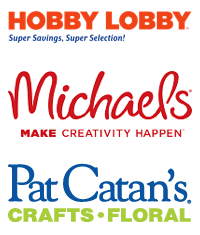 For extra dimension, I added my words using Joy embroidered letters. I kept the letters white, but they are easy to dye to match any kitchen decor. 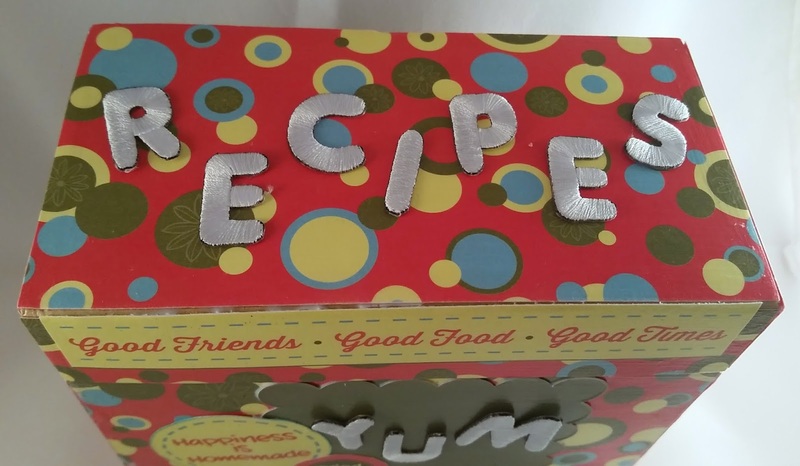 This recipe box is sure to be treasured for years to come!